When the day’s natural light fades, tasteful, professionally installed landscape lighting can illuminate your commercial property and transform your outdoor space into one that can be used safely and comfortably any hour of the day. Highlight the most important aspects of your property and the most impressive parts of your outdoor space, whether there’s a focal point in your newly created landscape that deserves a bit of extra attention or a walkway that your residents use after sunset. Perhaps you’re just looking for a little extra peace of mind or safety throughout your commercial property, even after you close your business’s doors at night. Whatever your commercial landscape lighting needs, the professionals at GreenEarth Landscape Services have the expertise and equipment options to create a lighting scheme that suits your commercial property. 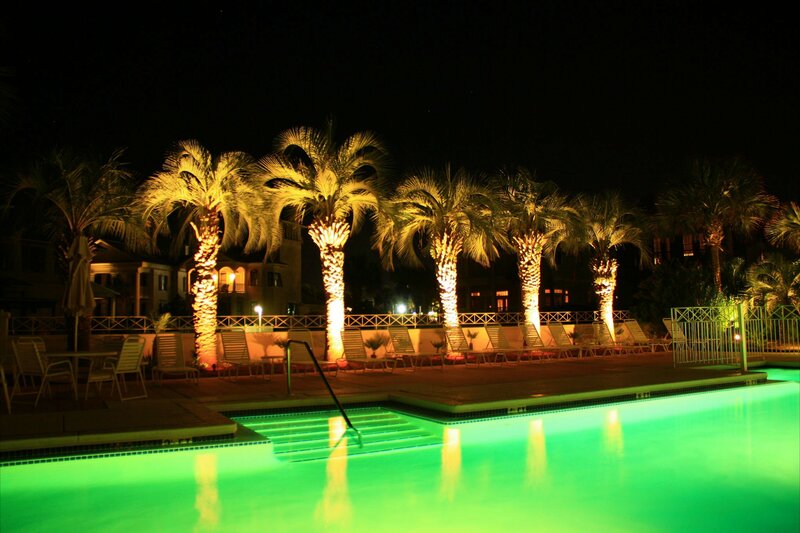 And, of course, GreenEarth will also be at the ready whenever your landscape lighting needs maintenance or service — throughout the life of your commercial landscape. Ready to see the light? Time to discuss your commercial landscape lighting installation and service needs? You can reach our Panama City Beach office at(850) 236-1959 or our Santa Rosa Beach office at (850) 267-0010. Or, you can fill out our handy online form to schedule a free consultation.